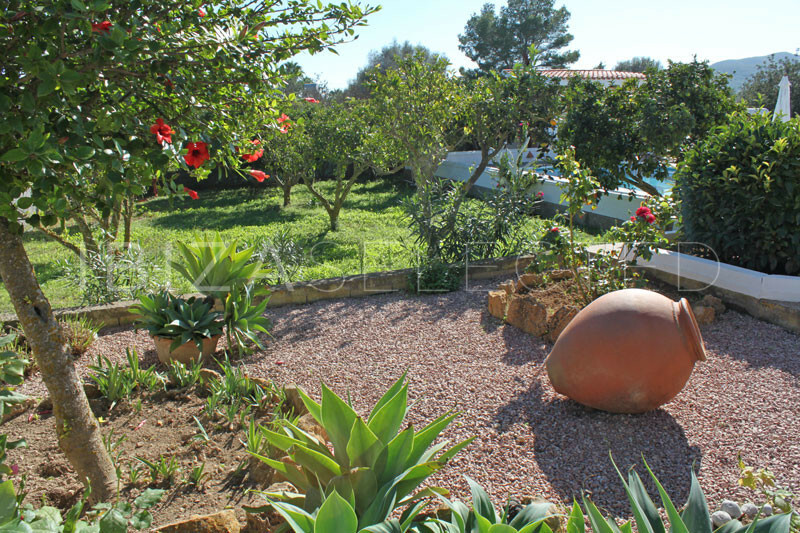 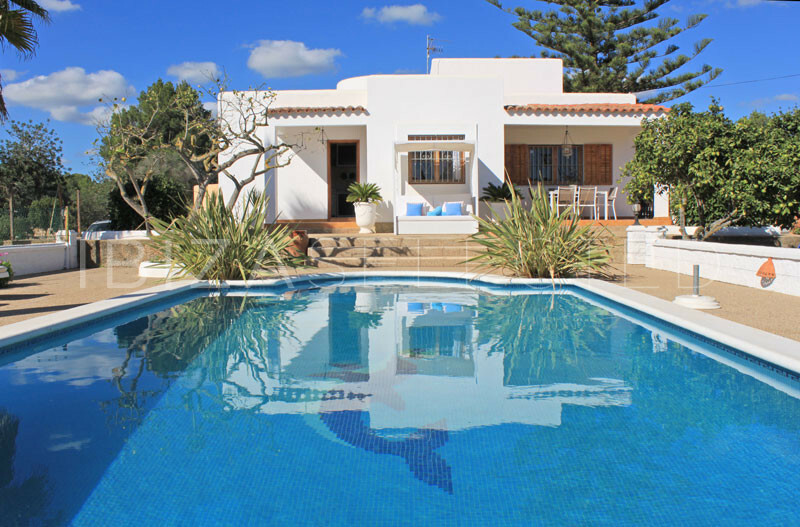 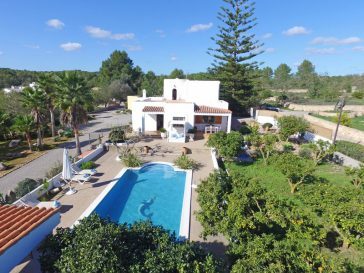 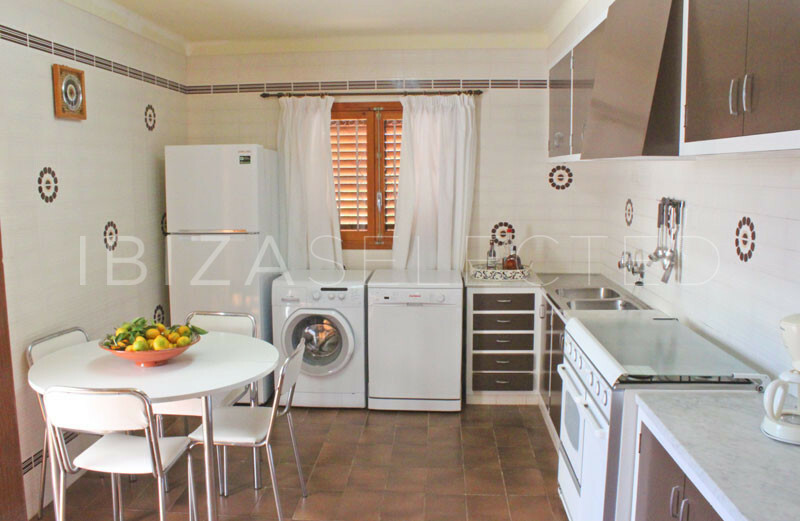 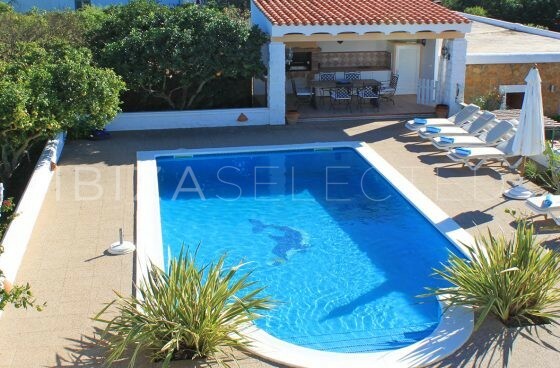 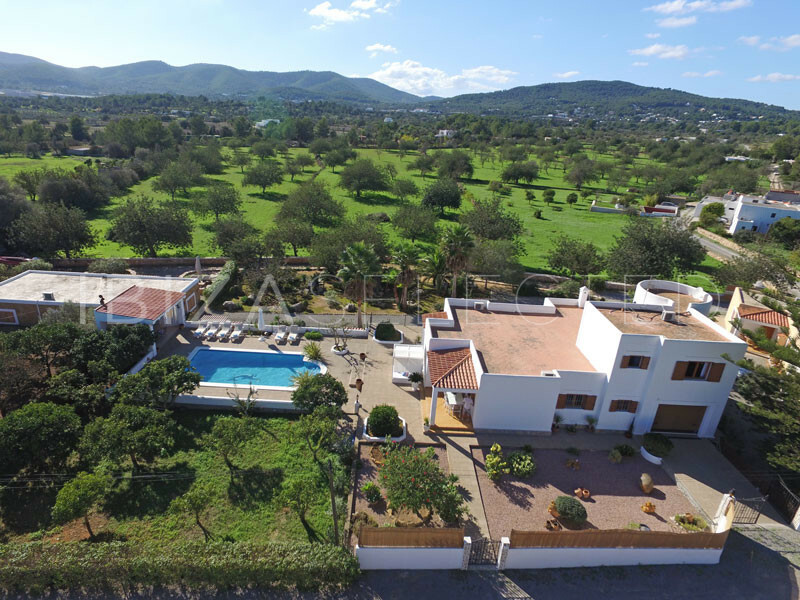 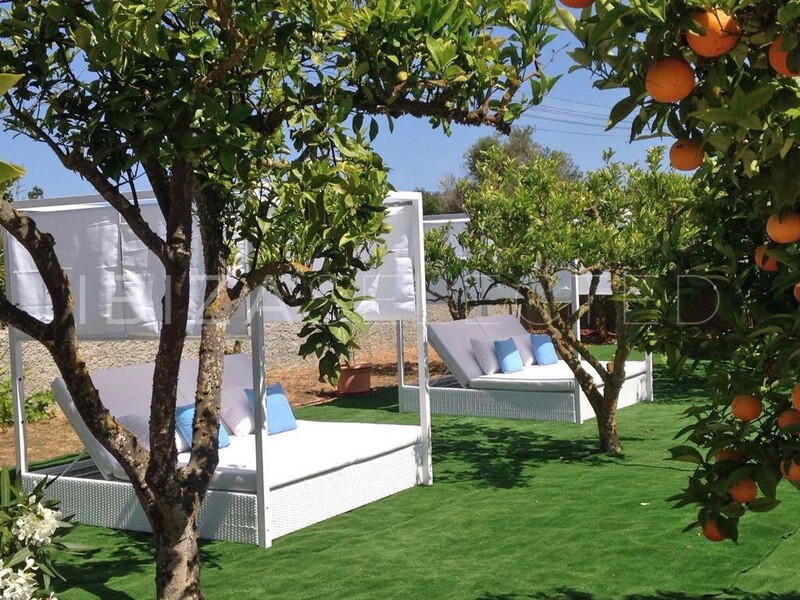 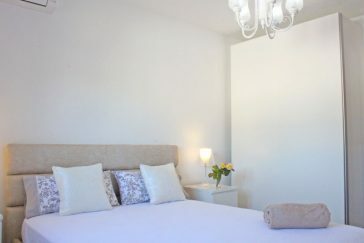 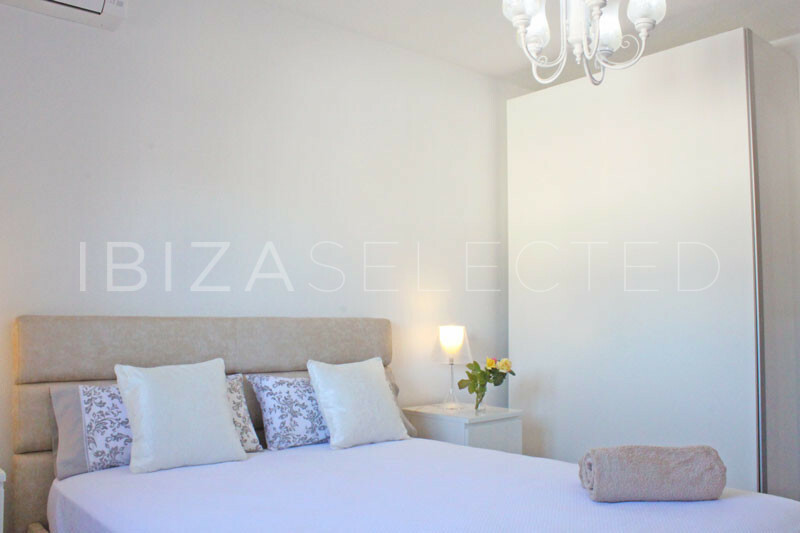 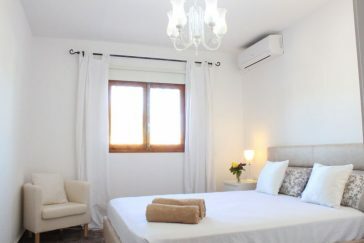 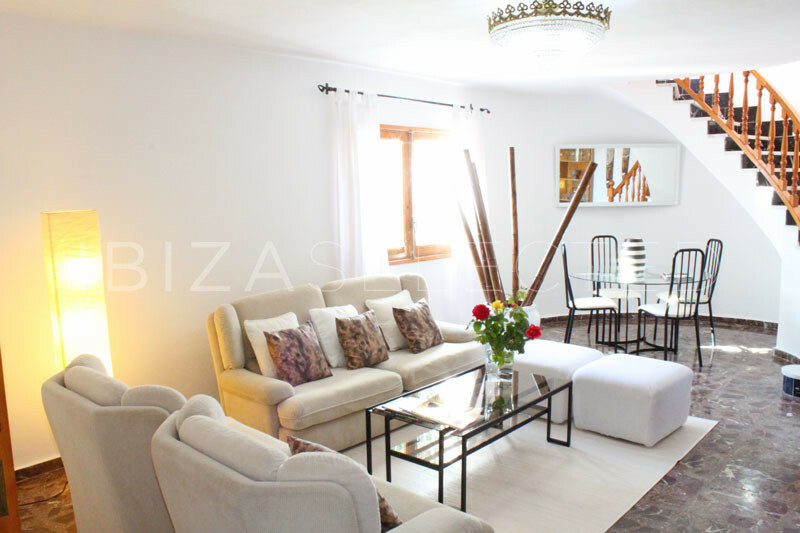 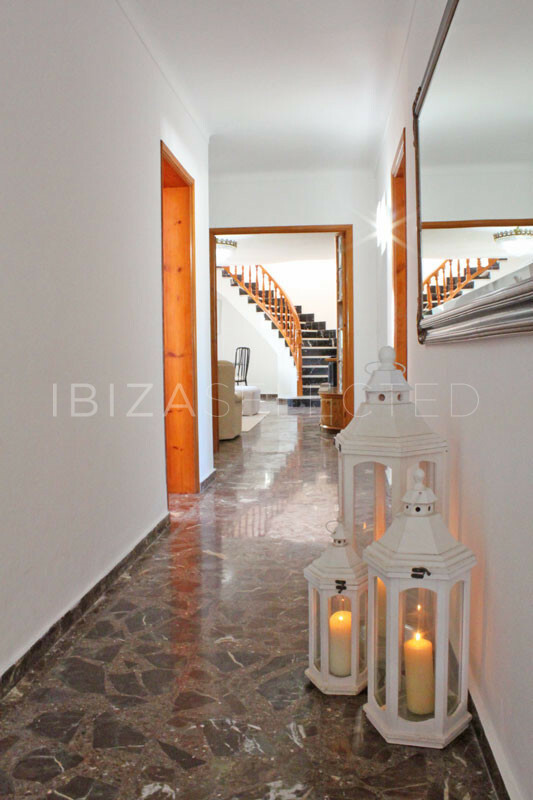 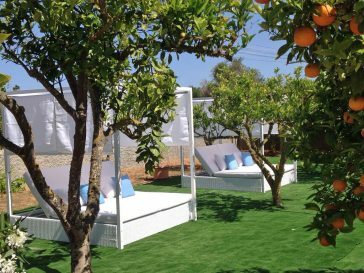 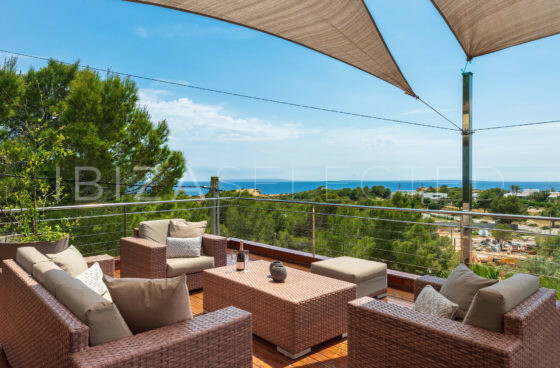 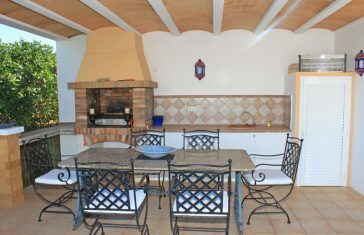 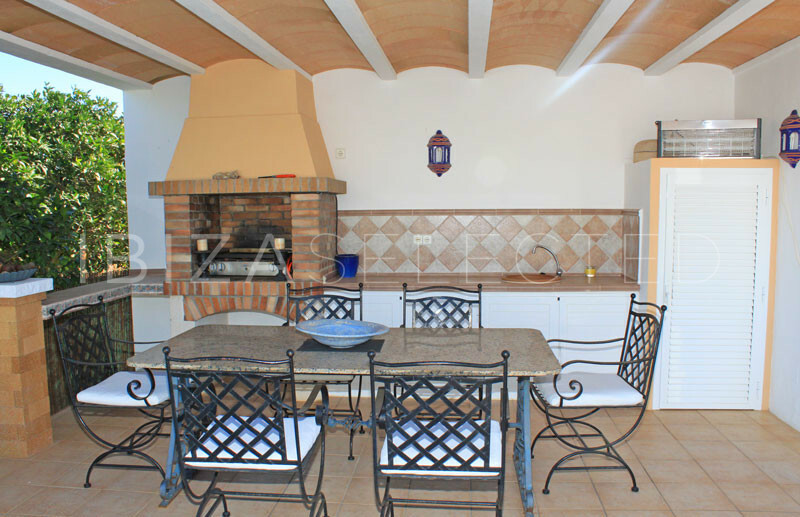 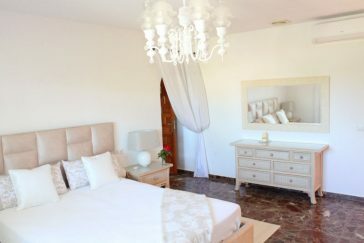 The beautiful house Casa Vanessa is located near Ibiza town in a small green paradise. 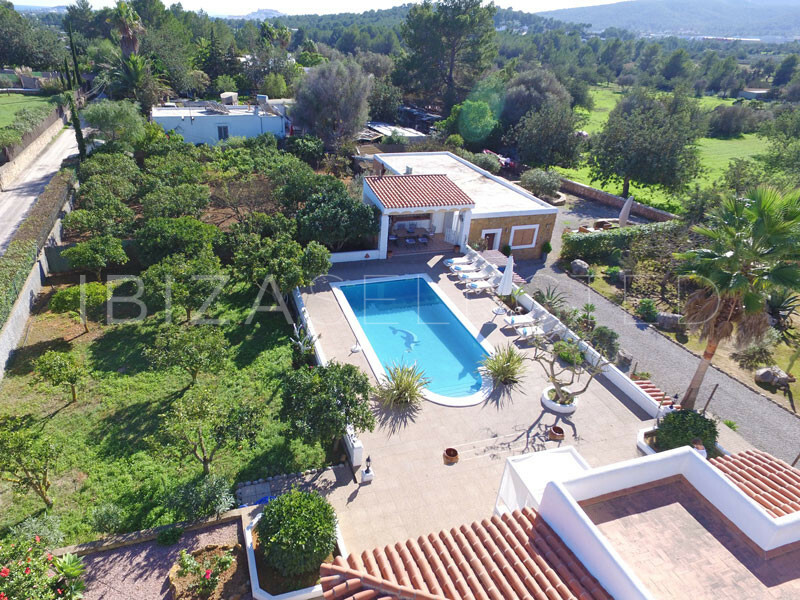 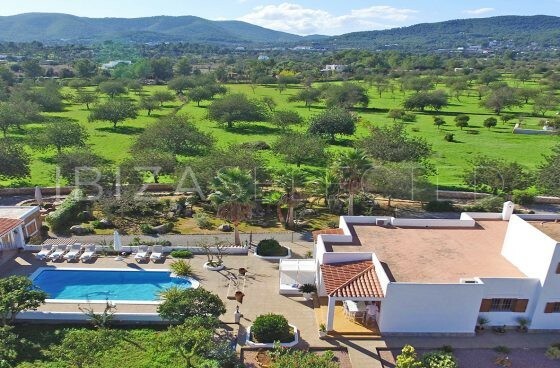 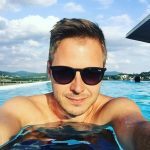 Quietly located, this detached house, which extends to around 230 square meters and 3,000 square meters of nature, offers you the well-deserved and relaxing holiday. 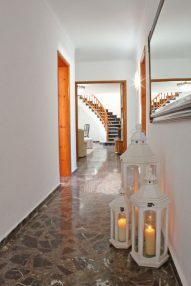 Two of the three existing bedrooms are on the ground floor. 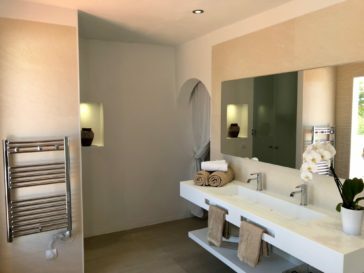 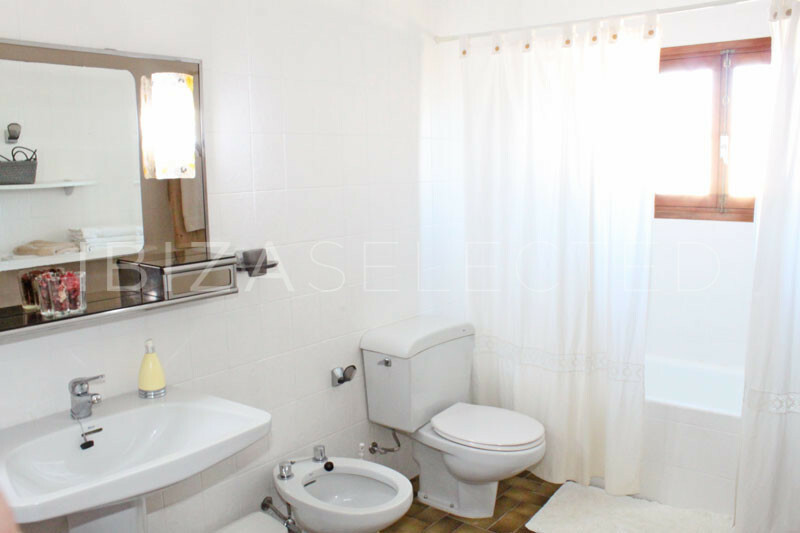 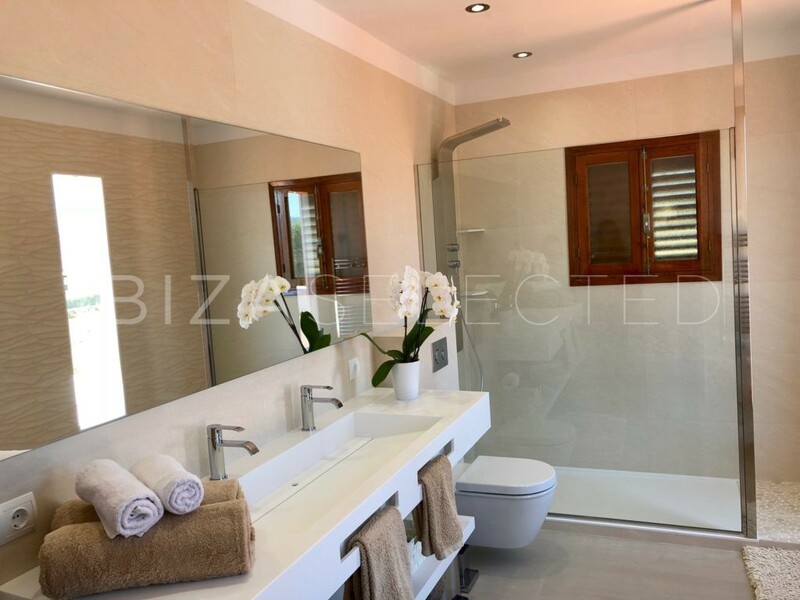 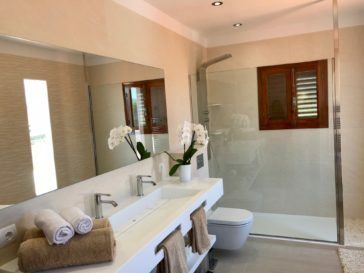 The third bedroom is, as well as the other bathroom, with tub, shower and toilet, and is located on the upper floor. The kitchen is fully equipped with gas hob, dishwasher, fridge and freezer. 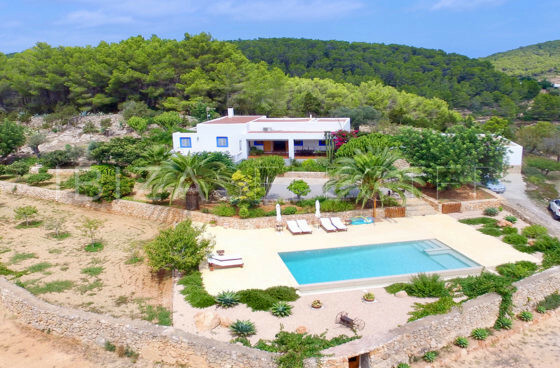 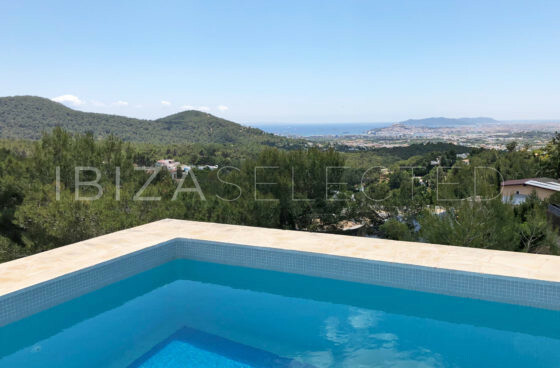 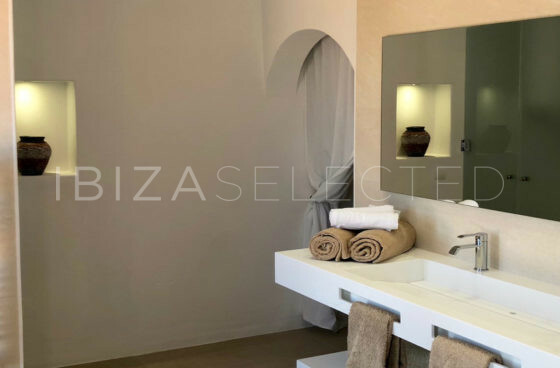 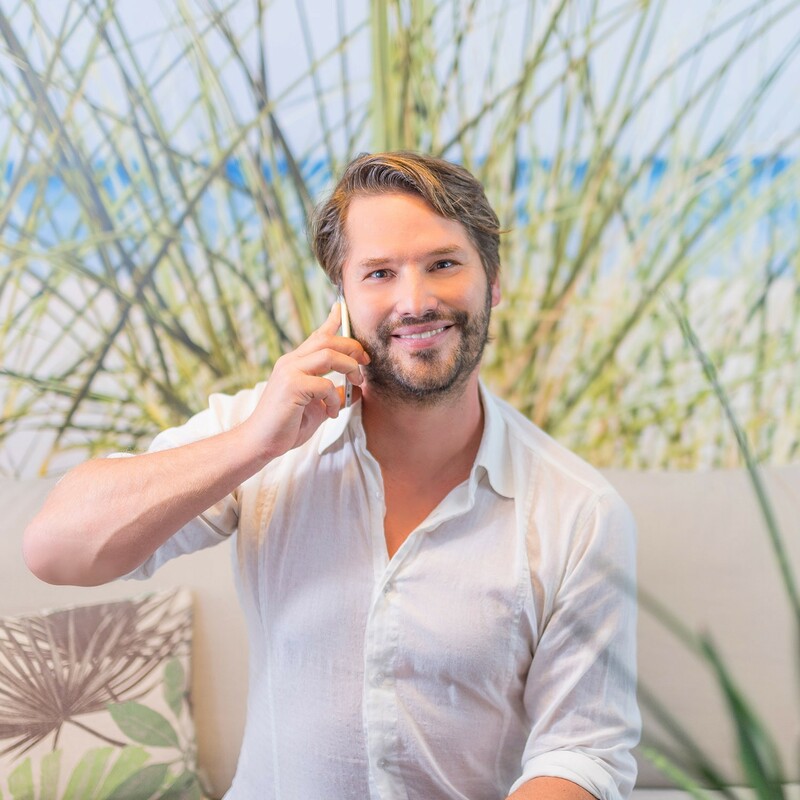 Under the spanish sun and the sparkling waters of the 6 x 4 m large pool, late afternoons at the BBQ or the warm summer evenings under Ibiza’s starry skies can turn your stay into an sustainably unforgettable dream vacation.